Coco Chanel said, "Fashion is architecture. It is a matter of proportion." 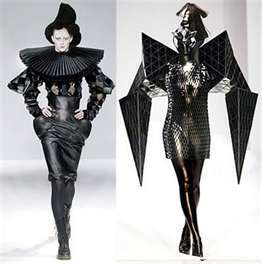 Although there are stark differences between fashion and architecture, they share many similarities. In their greatest forms, they are both art, capitalizing on our evolutionary affinity for specific proportions (think golden ratio); they are three dimensional; they require familiarity with and skilled manipulation of materials; they are the concrete manifestation of outrageous creativity; and they are restricted by the constraints of functionality. Occasionally, the typically divergent arenas of fashion and architecture cross paths. The next several posts on SugarSpiceStyle will highlight the juxtaposition of fashion or jewelry with architecture or home ware. This video introduces famed fashion designer Jason Wu's crossover collaboration with Brizo, a premium faucet brand. Last year, Brizo was awarded the WaterSense Manufacturer Partner of the Year by the EPA for promoting advancements in water efficiency. Brizo is also the first national sponsor of the St. Jude Children's Research Hospital Dream Home Giveaway. Enjoy Wu's unique perspective of fashion and design, and savor the glimpses of his haute couture intermixed with previews of the collaborative product. 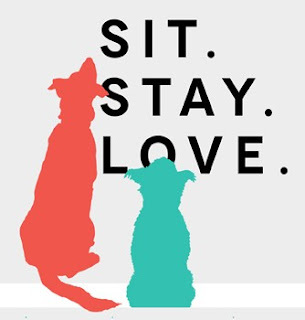 During the second half of September, Anthropologie is showing love for our animal friends by hosting events at their stores to help the less fortunate of the canine crew, especially those dogs who have been abandoned and are homeless. Click here to find the closest location near you and the date of the event. Stop by and help the dogs in your area by either adopting a fluffy friend or contributing to the pet supply drive. This week, Threadflip's online sale is a shopping event to benefit dogs by way of contributing 100% of proceeds to the Rescue Paw Foundation, a program that gives vital funds to no-kill shelters. As though you'd need more of a reason to shop a sale that benefits pups, this event boasts 70% off designer items: from Levis to Cartier, $20 to a couple hundred dollars, there's a gem just waiting for you...and a puppy at the other end who will make the purchase twice as worth it. If you want another way to support the Rescue Paw Foundation, aka Our Cause for Paws, take a look at London Jeweler's bracelets and necklaces with a paw print sterling silver charm that also benefit the Foundation. 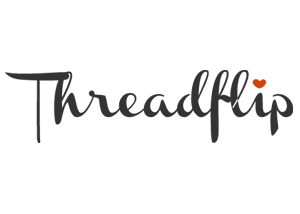 Threadflip sale benefits Rescue Paw Foundation ends Friday! I'm no longer in denial; I admit I have a bit of an addiction to nail art. I've recently been experimenting with new techniques for fancy fingers, and I'm very excited to share the results! For each technique, I include directions or link to a video tutorial so you can have fun playing and flaunt some fabulous nails. I've used neons and brights in these manis, but try more neutral or subdued colors for a look that 's easier to wear and not as bold. This is the acid wash technique. It's super easy and gives a great effect. Pick multiple colors. Start by painting your nails as you normally would, layering one or two coats of color #1, letting it dry, and repeating with color #2, color # 3, etc. For this mani, I used four colors: white, neon yellow, neon orange, and navy. After all the layers are dry, use a tissue or toilet paper soaked in nail polish remover and rub areas on each nail until the layers of polish underneath are revealed. Don't use cotton pads because the fibers will get stuck in the dried polish. When you're pleased with the design you've created, finish your mani with a top coat. If you've seen pictures of OPI's Spotted, you know it's pretty awesome, it's black, and it's only available in France. What I love about the foil mani is that it gives you an effect similar to Spotted, but you can get the look with any colors and without spending $50+ on ebay. For this technique, apply two coats of your base color (for this mani, yellow), and let it dry thoroughly. Apply a thick coat of your top color (green) on one nail and immediately take a scrunched up piece of foil and press it onto the nail briefly, then remove. The base color should show through in different spots; if you want more of the base color to show, repress the foil onto the nail again. Move onto your next nail, repeating the process: paint a thick coat of your top color and press a fresh part of the scrunched foil onto the nail. Finish with a top coat! This is definitely the most tedious technique of the three and might take some practice to really get the hang of it. This Drizzle Spun Sugar Nail Art tutorial is the best one I've been able to find; start watching at about 2 minutes. I found it much easier to tape off your nails first and line up the tacky polish in a row alongside the nail (on the tape) and then pull strands of tacky polish across the nail with a toothpick, as opposed to lifting the polish from another surface to the nail as in the video. This made a huge difference! Finish with a top coat and get ready for compliments! For another look at this technique, check out this fab Zoya spun sugar mani by Let Them Have Polish.